Mission: The goal of the “Cat in Thin Air” project is to help ensure the survival of the little known, little photographed, and very endangered Andean Mountain Cat through education on a local and global scale. By photographically showcasing the ecology of the cat, the human caused threats the cats face, as well as the conservation actions being taken to protect this animal, it will be possible to tell the Andean Cat’s whole story. These pictures will significantly help increase the public awareness of this small wild cat. To do so effectively, we have come up with distinct conservation goals that this project will pursue to achieve. 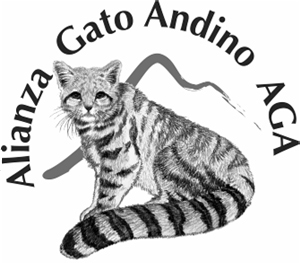 Why protect the Andean Cat? Andean Cats are specialists of the high altitude regions of the Andes. Protect the Andean Mountain Cat, and you will protect this whole ecosystem. The rocky areas in the Altiplano and the Patagonian steppe in which the cat lives are often converted for agriculture and are used for livestock grazing. Mining activities also have a serious impact on these ecosystems. By dealing with the threats the cats and the habitats face, you are saving thousands of other species at the same time. How can you help? 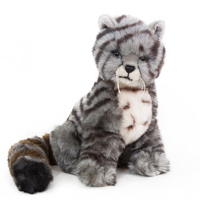 The easiest thing you can do to help is introduce more people to the Andean Mountain Cat. The more people care about it, the more pressure there will be to protect it. So share this or any other Andean Cat related page on social media. That’s a great start. For more in depth ways of how you can help, please see the Conservation Goals page. 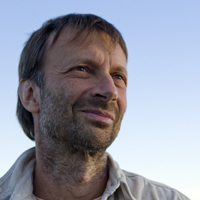 Sebastian Kennerknecht is a wildlife and conservation photographer specializing in wild cats and endangered species. He has photographed a quarter of the world’s wild cat species, including the extremely elusive Borneo Bay Cat and African Golden Cat. Sebastian’s true passion is helping conserve these amazing animals, which are in peril on this planet. Photography is his tool to share the incredible wildlife he sees with the rest of the world. Only by seeing and knowing about these animals, will people care enough to do something to help protected them. He feels strongly that this is possible with the Andean Mountain Cat. You can see more of Sebastian’s pictures on his website, and you can follow him on facebook. Ma. 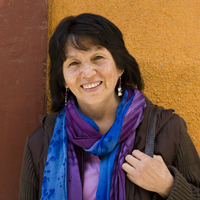 Lilian Villalba is the general coordinator of the Andean Cat Alliance. Since the Alliance deals with the Andean Cat across its entire range, Lilian is responsible for overseeing and coordinating research and conservation projects for all four countries (Peru, Bolivia, Chile, and Argentina) in which the cat lives. You can also check out the alliance’s facebook page here. 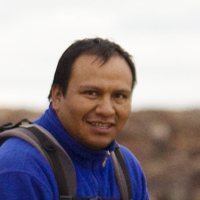 Juan Carlos Huaranca Ariste is a Bolivian biologist who has been studying the Andean Cat in Bolivia since 2004. He is the principal scientist of Andean Cats in Bolivia. He also organizes and leads educational programs in local schools as well as workshops for the indigenous communities. 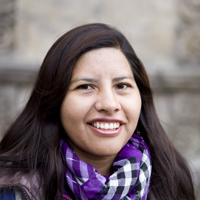 Alejandra Rocio Torrez Tarqui is the education coordinator for the Andean Cat Alliance in Bolivia and has been conducting community and school workshops since 2008. 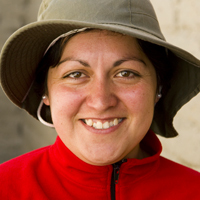 Her educational programs are focused in Bolivia, where she has traveled the country to spread the word about the Andean Cat. Juan Ignacio Reppucci is an Argentinian biologist who has been looking at the density and habitat use of the Andean Cat in northwestern Argentina since 2005. He completed his PhD research on the species and spends six months of the year studying the Andean Cat. He has seen the cat five times, probably more times than any other human being! He is also an incredible photographer. Cintia Tellaeche is currently conducting her post doc work on the Andean Cat after having already done her PhD on them as well. Her research focuses on the cat’s habitat suitability and how it relates to a proposed protected reserve encompassing her study area. She has been studying the species since 2007. 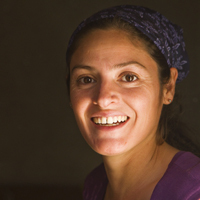 Romina Matamala is a tourism expert who is currently working in coordination with Juan and Cintia near their study site to help the surrounding communities establish themselves as an ecotourism location. If this project is successful, it will help the local people earn a sustainable living, shifting away from mining, which is currently their main form of income. 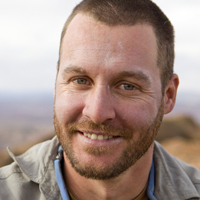 Mauro Lucherini is an Argentinian carnivore specialist. 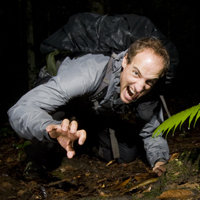 He has been conducting research and conservation initiatives regarding the Andean Mountain Cat since 1998. He is one of the few people on this earth who have seen the Andean Cat in person, describing the experience as being “in the presence of the Soul of the Andes”. 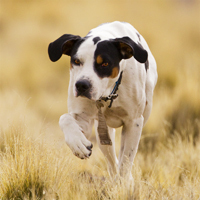 Monty the Dog is the official field dog of the Andean Cat study in the Jujuy Province, Argentina. He is of course so much more than that, but seeing him run up 14,000 foot mountains is quite the sight to behold. He has even helped Juan sniff out an Andean Cat! Mr. Andes is the global ambassador for the Andean Cat, spreading the cool facts about this species to anyone who will listen. He tends to poke his head out at interesting times, so watch out for him!